A shooter killed two people and wounded 10 others on Sunday at a video game tournament that was being streamed online from a restaurant in Jacksonville, Florida, local media said citing police sources. The Jacksonville Sheriff's Office said a suspect was dead at the scene. "Searches are being conducted," it said on Twitter. Emergency crews and law enforcement flooded into The Jacksonville Landing, a waterfront dining, entertainment and shopping site in the city's downtown. Witnesses told local media that the gunman, identified by police as David Katz, 24, of Baltimore, was a disgruntled gamer, angry because he lost Sunday's tournament. It was not clear if he knew his victims. The Florida shooting occurs amid a debate about US gun laws that was given fresh impetus by the massacre in February of 17 people at a high school in Parkland, Florida. The sheriff's office said many people were transported to hospital, and its deputies were finding many people hiding in locked areas at The Landing. "We ask you to stay calm, stay where you are hiding. SWAT is doing a methodical search," it said on Twitter. "We will get to you. Please don't come running out." Florida Governor Rick Scott said he had offered the Jacksonville Sheriff's Office any state resources it needed. 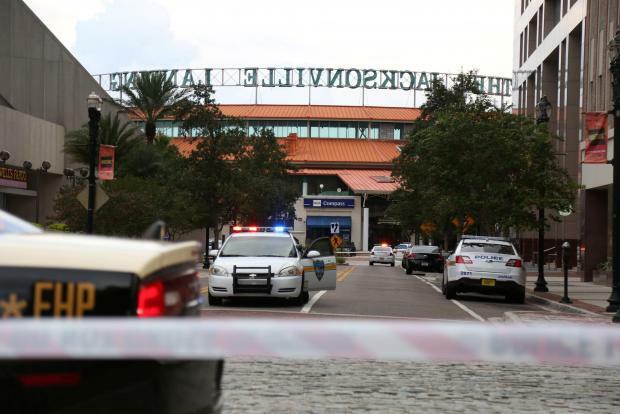 A spokesman for Jacksonville's Memorial Hospital, Peter Moberg, said it was treating three victims, all of whom were in stable condition. Florida Senator Marco Rubio said both the FBI and the Bureau of Alcohol, Tobacco, Firearms and Explosives were coordinating with local authorities to provide assistance. Reacting to news of the shooting during the tournament involving its video game, Madden 19 maker Electronic Arts Inc said it was working with authorities to gather facts.